Welcome to a community of creative reflectives who long to see the beauty of Christ's movements in a broken world, as we strive to understand the meaning of our humanity. Callahan, Henry. 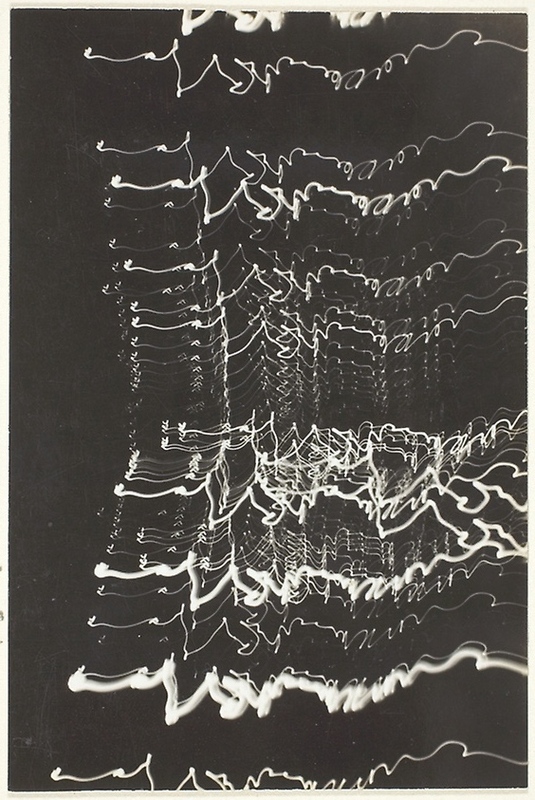 “Camera Movement of Street Lights.” 1942. The burning is on the inside. This poem came out of a season when I was contemplating a couple major life changes but hadn't "flicked the match" yet. Having gone through yet another season of change since then, and now settling into the results of it, I am struck again by all that is set in motion when we make a decision to try, whether that's trying something new, re-trying something old, or just trying something different. The results can almost never be predicted, yet we still must decide if we want to go forward with it. Do we choose the unsatisfactory known, or the complete unknown? Do we choose into a mystery that may be better than what we have? Or do we settle in? What might Jesus be calling us to? Surely he is with us in either direction, but is one better? I believe both the choice to change and the choice not to change can be made from integrity; change might not always be worth it, and change for the sake of change is inevitably exhausting. In this season, soon after the change of the year, we’ve probably all thought recently about what changes we want to make in the new year. I might plan to slowly make an adjustment, but my most satisfying and successful changes have been more like throwing myself down a hill. So my advice? If you decide you want change in your life, make your change like a stick of incense; set something on fire and don't turn back. Give yourself to the changes you want to make and see what happens. and fall to our knees. Pouring my tea in near dark, I pour blindly, waiting for the glint of light on water which means I’ve filled my cup to the brim. This is how the dark pours into the winter day, until it’s full to the brim at the end of a long twilight. The stars dance, and the world turns its shadowed face around to meet the next day’s sun. Both are experiences best lived paying close attention. Yet it’s also one of the hardest times to pay attention, these glimpses of sun buried in long nights. The sun is in no hurry at this time of year, the beginning of January, the cycle rolled back round toward lengthening, but still brief, days. We lull and luxuriate in these long nights, sleepy and slow to rise. It’s easy to let our eyelids droop when it seems not much is happening in the world outside. Paying attention is hard in the dark; we are forced to turn inward. Open eyes, internal or external, always get you far; but to stay awake during this season we must stoke the imagination, which is needed for hope to keep alive. We must imagine: seeds resting underground, their fertility preserved and preparing for spring -- animal friends going torpid, living off of stockpiled food and fat -- burrows in the snow and fluffed feathers -- and finally we must imagine the year ahead, arcing forward with all its joys and woes, our mental image frayed at the edges, where inevitably the unimaginable will occur. As we pour blindly into the cup of 2019, let us live the experience of this year paying close attention, watching for the glint on the water. May we let ourselves rest in the cradle of the long nights, while staying internally aware, feeding our imaginations from our stockpile, living alive in each moment and also dreaming for what is to come. Wolcott, Marion Post. “Post Office in Blizzard, Aspen, Colorado.” 1941.
this line is now our consequence. and the clock says it’s lunch time. until after december, i know. so now i must wait. i don’t want to be like him. for being such a jerk. simply hums a christmas tune. your coming to this earth. was probably the easier thing. still their hearts would sing. but there’s also meaning here. but i hope the others also hear. a woman chose to sing. Berg, Charles I. “Weeping Magdalene.” 1897.
remembering when days were longer. and today i wonder why the crying. pain of heart or mind. like your son, like jesus? Mitchell, Joan. “City Landscape,” 1955.
did the angels come like sirens? woke joseph from his sleep that time? did the baby cry like sirens? did you send them out like sirens? it’s dark and i’m dirty. things lurk and things creep. let something else give me what i need. the water source flows not far underneath. i’ll sprout once again as something new. a little more smooth, and a little less dim. darkness and hope and anticipating? both sent by the wind and spirit-minded. and light up this crooked world before us? becomes the everlasting bright-lit valley of vision. and someone will come close to me. and abide in your love. and we need you again. what you had set in place. embracing a small lover of the nations. just like that girl would do. “hold her in your focus, god! a tiny sprout on jesse’s tree. he also prayed for me.